For many of us, traveling can be fun, relaxing and even life-changing, all at once. But it can also be downright scary when your dream vacation ends up a disorganized mess just because you weren’t prepared enough. Ever wonder why apps like Airbnb and TripAdvisor are so relied upon and popular among the globetrotting community? Travelling to a foreign land may be exciting and all, but it also takes lots of planning and research. That’s where these travel apps come in handy—providing the convenience and value many of us wouldn’t probably trade, even for business class tickets! From helping you find the best accommodation for that impromptu weekend getaway to planning the itinerary for your annual company trip, there’s an app out there that can easily elevate you from being a seasoned traveller to one who’s also digital-savvy. 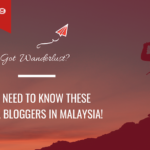 As part of an ecosystem of useful and upcoming travel apps in Malaysia, CurrenSeek along with these 15 homegrown travel apps are here to make your next travel adventure hassle-free, efficient and as enjoyable as it should be. Allow us to complete this list with our favourite value-loving, location-based currency comparison app! 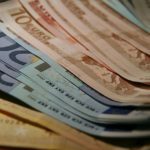 We understand that when traveling in a foreign country, the simplest necessity like finding the best exchange rates can prove a hassle for travelers. Sometimes the nearest money changer becomes the most obvious choice, but you may come away feeling shortchanged—and that’s no way to start your journey. Did you know the difference in rates between money changers can be as much as 200 per cent, if you’re not wary? We aim to change that by helping the community easily compare and crowd-source real on-ground, updated rates, around them and help good money changers everywhere (no matter how hidden!) to get the visibility they rightfully deserve. Now this task may sound simple to locals who know the area, but rates change daily from one money changer to another, and foreign inbound travelers could certainly do with good directions! Free, Android and iOS. Being ‘vegetarian’ in a foreign land can be tough. 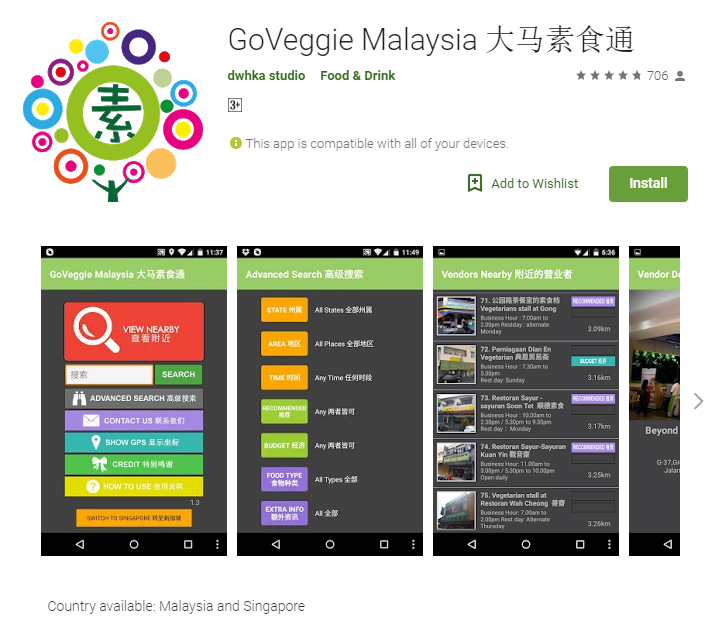 Thankfully, GoVeggie Malaysia app makes sure vegetarians won’t suffer from any shortage of wholesome food choices! GoVeggie Malaysia points vegetarians to over 2,000 vegetarian vendors in Malaysia (plus over 500 vendors in Singapore as well), filtering out preferences by location, working hours, food type, and price. 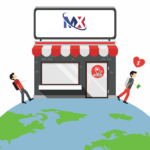 Users can also search for recommended budget vendors, and even organic products shops or delivery services! Free, Android and iOS. There are tons of hotel booking sites, but which price is the best? Look no further than Trivago, where you can compare 200 booking sites and find the ideal hotel or budget staycation in Malaysia. All you need to do is enter your destination and desired travel dates, and Trivago’s search engine will do the hard work of comparing accommodation prices for you. You can further refine your search by filtering out price, distance (e.g. from the beach), facilities, and more. Free, Android and iOS. Getting around Kuala Lumpur is incredibly budget friendly with a handy guide like Malaysia Kuala Lumpur Subway. 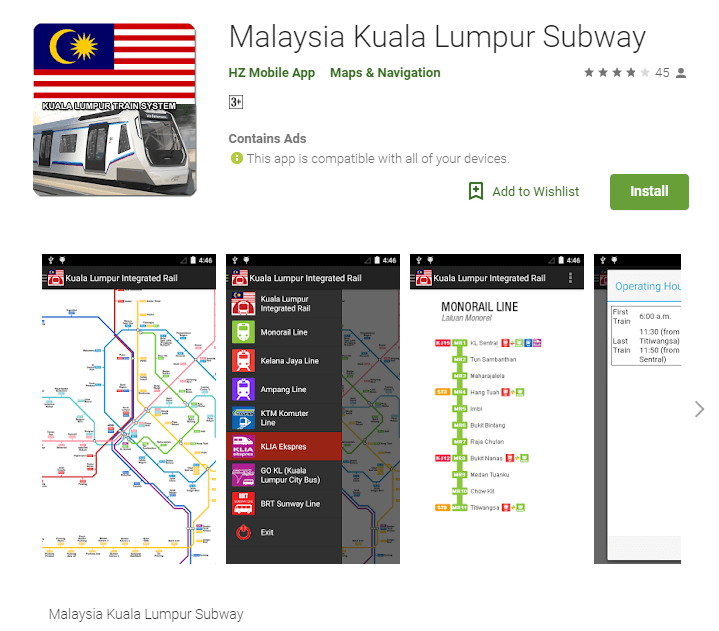 The app includes timetables and fares for all of KL’s integrated subway lines, including Kuala Lumpur Integrated Rail, Monorail Line, Kelana Jaya Line, Ampang Line, KTM Komuter Line, KLIA Ekspres, GO KL (KL City Bus), BRT Sunway Line, and MRT Sungai Buloh-Kajang Line. Free, Android. Car rental services can be pricey, especially if you’re not maximising its usage daily. If you’re looking for an alternative to traditional car rental services, consider GoCar. The car-sharing platform lets you book, unlock, and access a car using your smartphone, then pick up your ride across multiple locations in Malaysia. You just need to be 21 with a full valid driver’s license, and pay a one-time membership fee of RM50 to start making your first reservation! Available in Android and iOS. 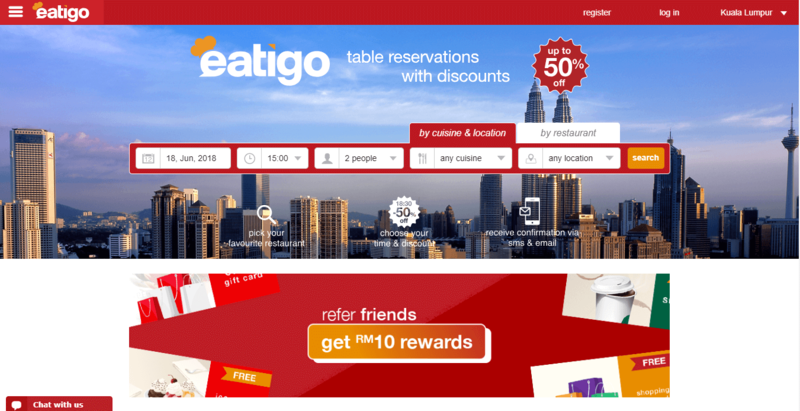 Touted as the number one restaurant reservation app in Kuala Lumpur, Eatigo carries over 2000 top restaurant labels offering up to 50% discount per outfit, every single day! It’s a great way to explore the best restaurants in and around KL for half the cost. Just don’t Eatigo till you get vertigo! Free, Android and iOS. If you’re a classic bargain hunter, then Fave app is perfect for you. With Fave, you can find and enjoy the best deals on the go, at restaurants, retail shops, spas, beauty and wellness salons, and travel services and activities. The list goes on! If you go cashless and pay with the Fave app (just connect with your credit card), you’ll get to enjoy 50% cashback at thousands of restaurants and retail stores. Fave is updated daily with exciting new deals featuring discounts of up to 80% at your fave-ourite places to eat, travel, shop, experience and see new things! Free, Android and iOS. A cut above the usual dining deal sites, OffPeak offers discounts at a surprisingly wide range of restaurants across the country. To satiate your craving for a local or international fare, we’re certain there’s a meal deal out there you wouldn’t be able to resist. Even though the name of the app touts differently, unlimited dining discounts can be enjoyed anytime, any day and not just during off-peak periods. Free, Android and iOS. One thing every country has in common is the fact that taxis are often a rip-off. It’s a well-known fact, but for most travelers, there’s really nothing much they can do about it. Well thankfully, now there’s Grab—the Southeast Asian alternative to Uber. Using pretty much the same concept, all you have to do is select where you are, where you’re going and choose how you want to get there. The app calculates your total fare even before your ride, which means less chance of getting ripped off! Special offers of up to 60% are also on-going for short distance road trips. Free, Android and iOS. Toss out those guidebooks! With TripViss, rest assured you’ll be led on a journey of many discoveries. Offering over 2,500 tours in 150 countries, covering more than 5,000 destinations, here’s a truly comprehensive app with one of the largest selections we’ve seen. From guided group tours in your native language to free and easy or private tours, you’ll be spoilt for choice. Tours are also available in more than 15 themes of your preference at bargain prices. So whether you’re traveling solo or in a group, your most memorable tour may just be a few clicks away. Are you the kind of traveler who books flight tickets a year in advance just to save on airfare? Hey, we’re not judging—we totally get it! More importantly, we want you to know that there’s a travel platform now that helps travelers plan and book their holidays at amazingly affordable rates. It’s none other than Touristly, an app with an interactive itinerary planner that gives you access to hundreds of offers in each destination. Say good-bye to excessive research on multiple websites and say hello to the beautifully simple single platform app that connects tour providers and travelers to the holiday of a lifetime. As the saying goes, “When in Rome…” Most of us despise being labeled as tourists when we travel. In fact, some of us don’t even want to seem like travelers. Instead, we all want to do as the locals do. Now, there’s a way to connect on that level via LocalUsher, a unique platform where cultural exchange is the main aim of the game. For the traveler, you’ll get to discover more than 200 culturally rich activities provided by natives who are dedicated to sharing their passion in life. 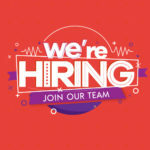 For the local, it’s simply a cool way to earn some extra cash and to provide you an experience unlike any other. You can never have too many transportation apps when you’re in a foreign country. Sure, you can get away with flying around Malaysia or hitching a ride in a taxi. But for the budget conscious, sometimes taking the bus may be the best option. If you’ve not traveled on the bus for a while, or perhaps ever because of its seeming unreliability, CatchThatBus may just dispel that notion. No more waiting at the bus stop or praying you haven’t just missed the last bus. 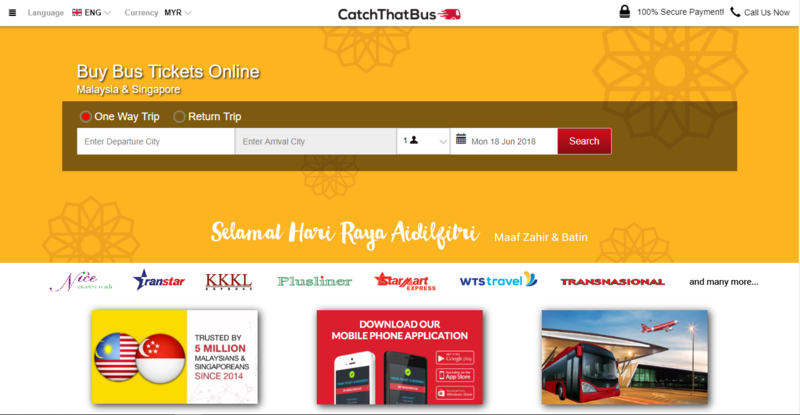 With connecting routes that circle around both Malaysia and Singapore, this app lets you purchase your bus tickets online at discounted rates and promises fast, convenient and reliable service. Free, Android or iOS. Tripovo is your ever-present and value-driven online travel booking agent! Its uniqueness lies in its multi-component booking platform, which enables travelers to combine multiple parts of booking a trip, tour packages, hotels and transfers in your itinerary in minutes, on top of getting advice from online companies. Fully customize your preferred travel experiences from a list of trending activities, hotels, and services curated by travel experts. By helping you consolidate your travel plans and offering special prices, Tripovo may also end up being more affordable (depending on the number of items you bought), than if you booked each item separately or through a travel agency!. More data for less dollars equals more experiences… With this cool premise in mind (and a wacky video introduction to boot! ), Flexiroam lets travelers earn up to 100GB of free data prior to travelling by engaging in simple interactions through the app. Ever experienced the inconvenience of hunting high and low for a new SIM card in a strange land, or searching for Wi-Fi wherever you manage to re-enter blessed civilization? Gone are those days. 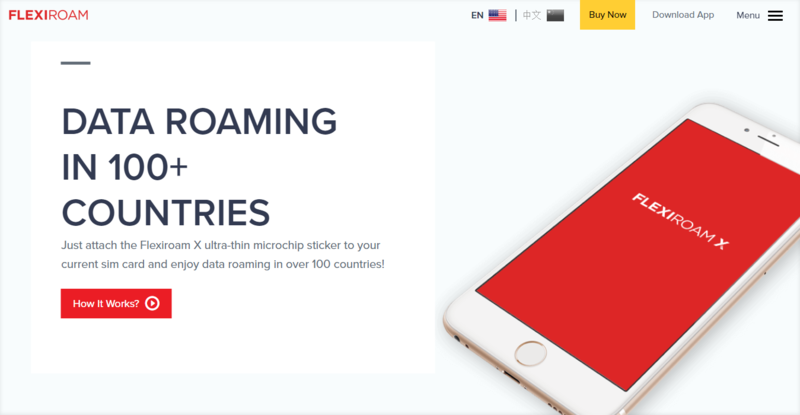 With Flexiroam, you can build up your bank of free data for the next trip and avoid massive roaming fees when you’re overseas—at an uncapped 4G speed, no less! 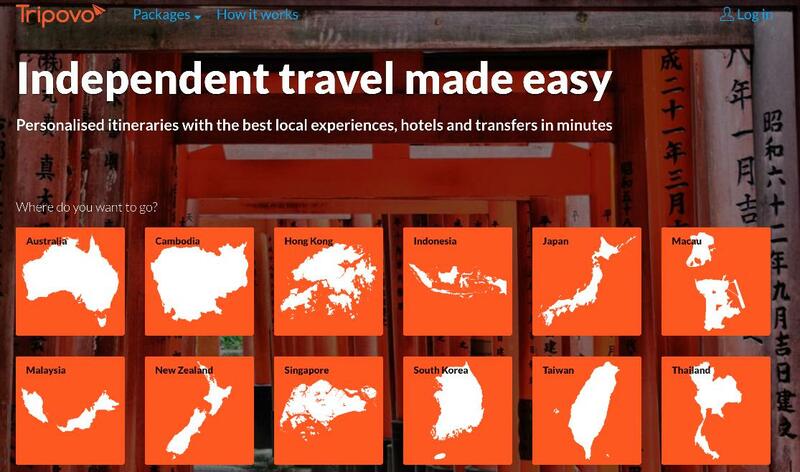 Flexiroam is available in more than 100 countries (check out coverage areas here). Here’s further details on how it works. Membership Fee applies, Android or iOS. Make these handy apps your travel companions, plus do let us in on ones you think we’ve missed in the comment box below! 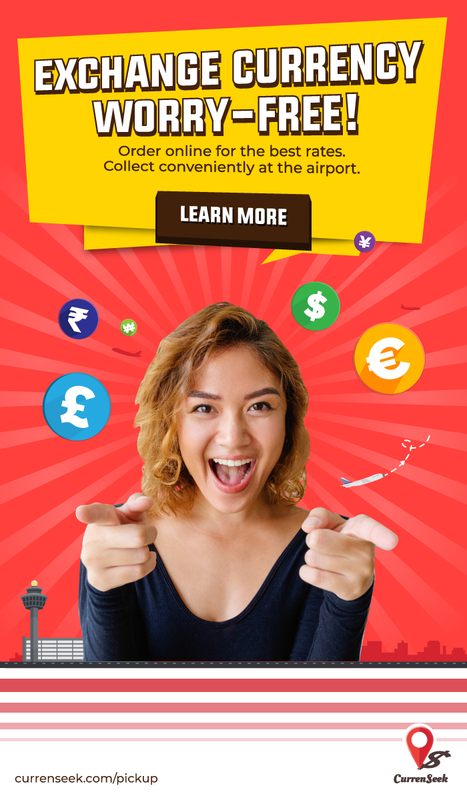 If you’re headed to a foreign country soon, don’t forget CurrenSeek can also help you locate the best moneychanger nearest you! Download the app here. Ina, thanks for the suggestion. We’ve added it! Aina, thanks for the suggestion!